My Little Crafty Place in the World. I have a new Hobby "Quilting" and I am loving it! 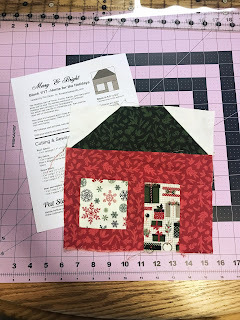 I have joined Pat Sloans Christmas Sew Along. Click on the link to see all the other beautiful blocks. Life has been super busy for me, with a new grand baby and wedding planning for our daughter Courtney. 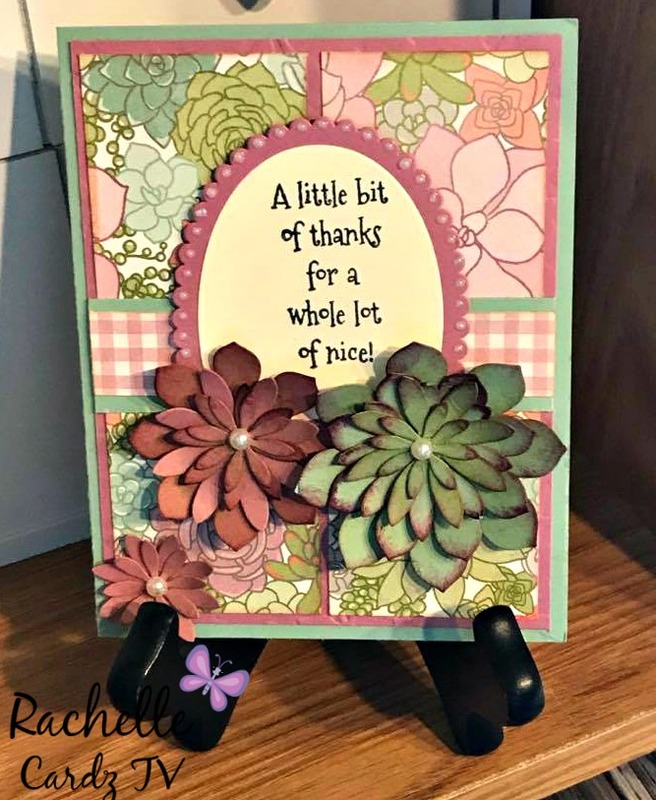 I am going to try and start posting more cards on here I promise. 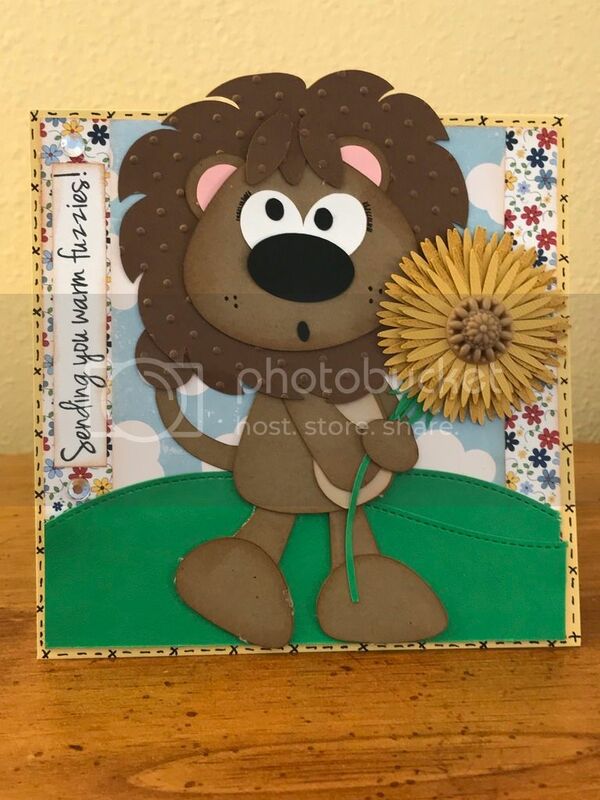 My card today I made to cheer up our friends granddaughter who has been in the hospital. I hope you will come back and visit me soon. 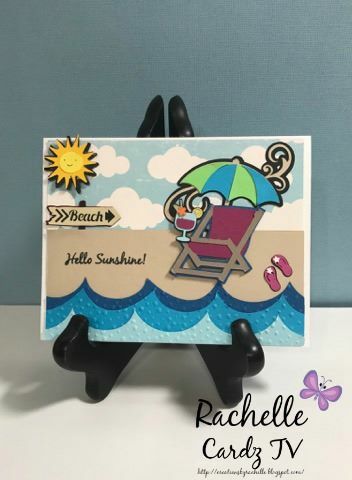 I designed a theme card with my cricut! 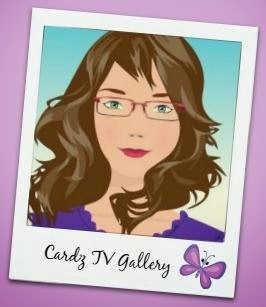 I used Cardz TV "Simply Said " Set. I hope all of you had a wonderful and safe 4th of July! 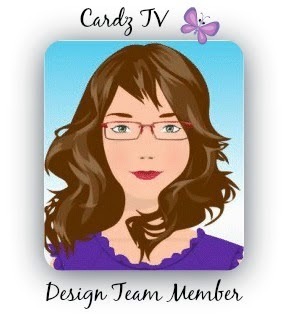 from Cardz TV called "mini messages"
I hope you will stop on over at Cardz Tv and check out all my design sisters creativity. I hope you enjoyed my card and hope you will come back again for more challenges. Grab a cup of coffee and come visit all the awesome projects that we have for you. Just head on over to Mary's blog and check it out. Today, My card for you is water colored..I cut my paper with my dies from lawn fawn and then I stamped my card with versamark and I used Gold embossing powder and then heat embossed it. I used my Paints and water colored the image. 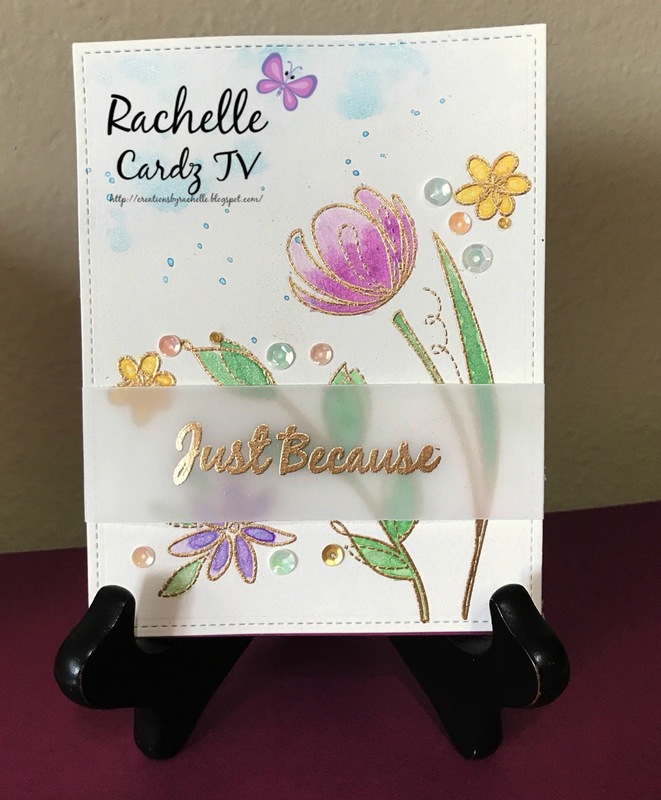 I used the stamp set from Cardz Tv "big and bold" and used the sentiment "Just Because" on vellum paper and heat embossed it. 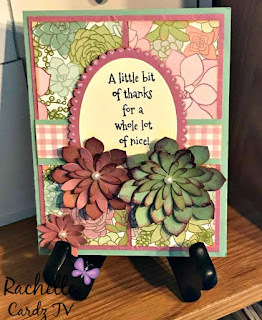 I added sequins with my Stampin up fine tip glue pen to finish the card. Below is a list of the items that I used. I hope you enjoyed my card and that you will come back soon to visit. 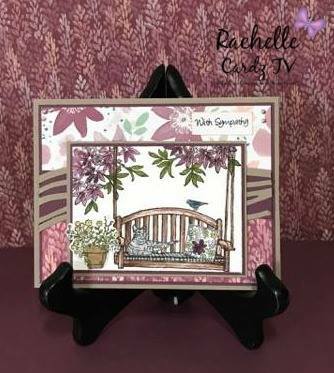 For my card I used Sketch 14 And, I used stamp set "Potpourri"
I hope you enjoyed my card and that you will go back and check out my Design Team Sisters amazing projects as well.